We went to the Andy Warhol Museum next. 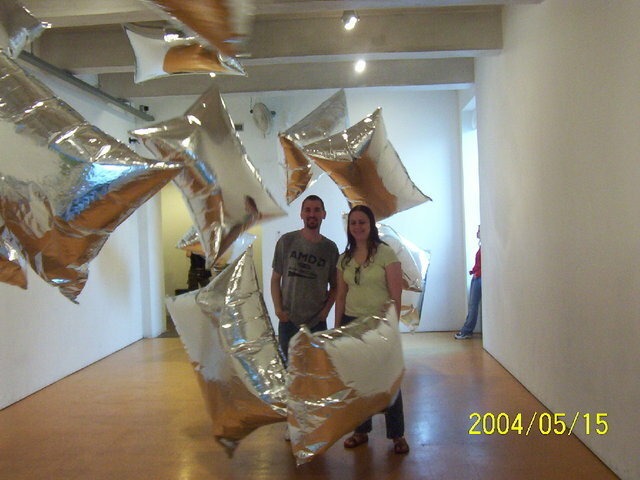 Here's Barbara and David in "Silver Clouds" (a bunch of mylar balloons with fans going to blow them around). Very fun to play in! And the soaked look is from the rain outside, not the silver clouds.